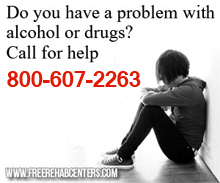 Fort Lauderdale, FL Free Treatment Centers, Affordable Rehab Centers. RESTRICTED REFERRAL: DCF/Childnet - Accountability Respect Responsibility Integrity Self-Esteem (AARIS) Provides 24-hour supervision for nine dependent girls between the ages 12-18 who are in crisis with mental health overlay services. The Sexual Assault Treatment Center (SATC) provides a safe, non-threatening environment for victims and supportive family members. Services are intended to assist in matters of public safety, to help families understand what has happened and to aid in their recovery. Service DescriptionAn awareness and education program that focuses on the nature of each participant's substance abuse problem and addresses relapse prevention. Agency also offers individual and group counseling for those dealing with anger management, impulse control, domestic violence and parenting issues. Voluntary and court mandated clients are welcome. Service DescriptionNine month residential drug and alcohol regeneration program for men ages 21 to 63 years old. It is designed to separate a man from those elements in his life that influenced him into a life of addiction. The program includes Anger Management, Counseling to overcome addictions, G.E.D., Biblical studies that prepare our residents for living full lives.